Reading this was a catharsis for me. Wild Bill and I are more alike than I knew. I am a failed poet. I began writing by slamming words together in free form and classical verse. 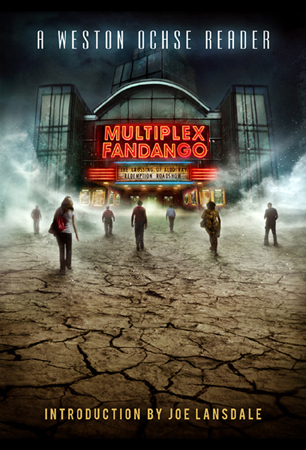 Look at Multiplex Fandango. Those words never appear together naturally in the wild. It was something I had to invent myself. Together they are beautiful. Separate they are pedestrian. I loved writing poetry, but I lost my faith in myself as a poet. I lost the nerve to slam words together. But I am a short story writer. And I am a novelist. I love these forms of writing. 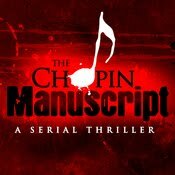 I daresay, although I’ve won an international award for novel writing, that I feel most comfortable with the short story. It is both the most simple and most complex way to open up your veins and bleed along the lines. So after fifteen years of writing professionally, I wrote my first short story collection. Of my hundred published stories, I chose ten to republish and another six original stories to add to the collection. I created the title of my short story collection ten years before it was published and held onto it with both fists. My wife knew about the title, but no one else. A multiplex is a movie theater complex with three or more screens. It’s much like a book of short stories in that one can go in and view one movie then leave; or stay awhile and view them all. Although fandango is a sort of dance, here I use it as a synonym for ‘a big fuss’ or ‘a brilliant exploit.’ It’s also the title of a 1985 film starring Kevin Costner and Judd Nelson about college students in 1971 on a last road trip before they go on with their lives. This is a film that has stayed with me ever since I first saw it. Every character comes to terms with his own mortality, something that is mirrored in a lot of my fiction. Having the title in hand left me with the challenge of deciding what stories to choose? Which ones would go in my first short story collection to represent me and my work? F. Scott Fitzgerald has a wonderful way of describing writers. He says that “Writers aren’t exactly people.” Instead, “they’re a whole bunch of people trying to be one person.” So I searched those stories that I thought most represented me as those other people. This is why you’ll find crime fiction, science fiction, dark fantasy, horror and mystery stories all in the same collection. Like a multiplex. You wouldn’t expect a multiplex cinema to have only one genre of movie would you? And neither will you find one genre of writing in my Multiplex Fandango. I’ve been called a horror author, a dark fantasy author, a mystery author and a science fiction author. This need to categorize is not something we do to ourselves. It’s something that is generally done to us. But as long as the second word in all those attributions is always ‘author,’ I don’t mind. My only concern is one of self…. Being an author is all I’ve wanted to be ever since I could read. Call me any sort of author you want to, as long as you call me author. Whether it be short stories, novels, comic books or essays, I feel the most complete when I am writing. Maybe I couldn’t make it as a poet, but here, at least for awhile, I can prove to the universe that I am a short story writer. Weston Ochse (pronounced ‘Oaks) lives in Southern Arizona with his wife, and fellow author, Yvonne Navarro. For entertainment he races tarantula wasps, wrestles rattlesnakes, and bakes in the noonday sun. 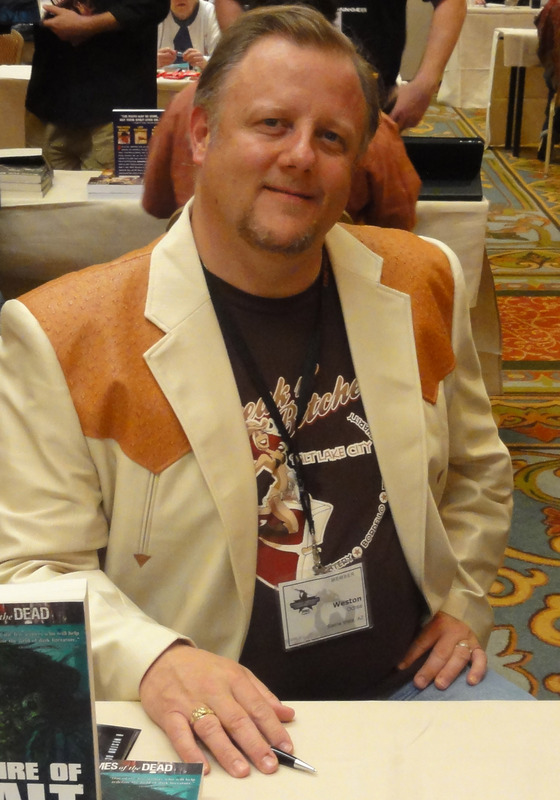 His work has won the Bram Stoker Award for First Novel and been nominated for a Pushcart Prize for short fiction. His work has also appeared in anthologies, magazines and professional writing guides. He thinks it’s damn cool that he’s had stories in comic books. To learn more about Weston, please visit his website.